Putting the feelers out for a new to me Shooting truck, There was little about in my limited spectrum of contacts , but i was offered for around £500 an 05 Mitsubishi L200 With September MOT &103K Miles on it , but with the Classic Mitsubishi Crank pulley failure scenario . 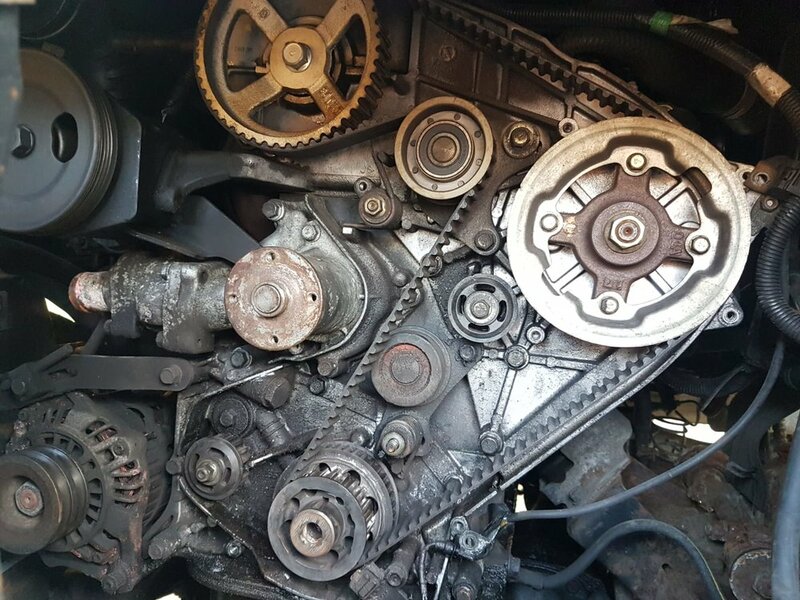 Truck had been stripped and abandoned but pictures show key way in crank is ok and some threads are visible in the end will try and post pictures i have. This truck is not the tidiest one i ever saw, but its mainly one front wheel arch and a couple of scabs on upper rear body . It has hard top would suit my needs shooting fishing and trailer general runabout duties so i am half tempted to give it a try, but will admit i am a little skeptical about the crank threads. 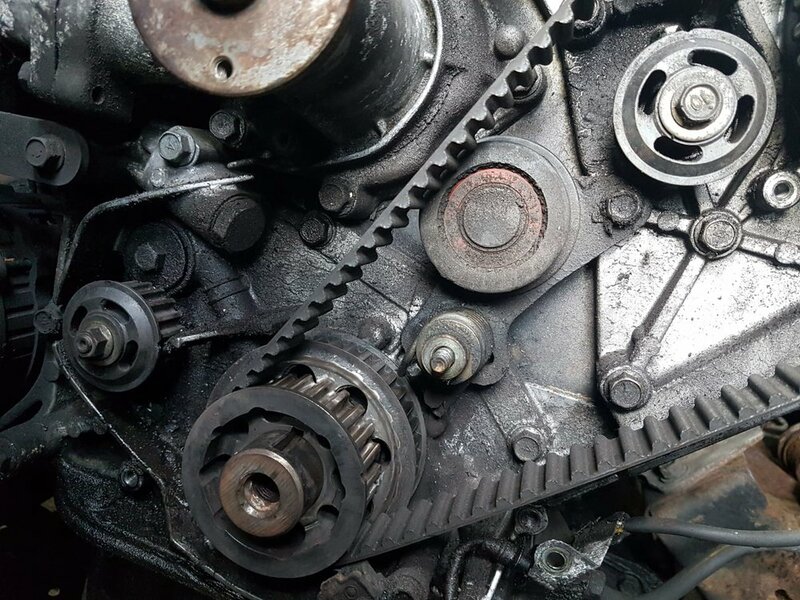 I think i could draw about £150 /£200 for scrap directly perhaps escape if i strip for export and try recoupe money from parts, But realise its a gamble but it still ran with broken balancer shafts belt broken fine This i do know for sure . And i do want a truck and a project for the season end . ! So what do i do ? Go for it ! Or walk away ? Well Mick coin flip is 3 out of three says buy, But i am still not sure but thanks anyway. HA HA thanks chilly i really want a pickup this time, 15 years of Terranoship have left me with nothing but praise for Nissan , but not sure on Mitsubishi . . This is my initial thought, but i am up for a spring project and buying >>>> is a way to get one, but not knowing Mitsubishi L200s at all looking for input on the issue outlined and L200s generaly. but thanks vince and i get where your coming from and i could well do just as you say the way i see this right now. Old livestock farmers would sometimes say that "A good 'un is always cheap, and a bad 'un is always dear". The first part might not always apply to motor vehicles, but the second half certainly does. Yes and this one good or not has the real potential to get expensive. researching parts price just now on ebay show pulley and aux belts £60 Timing and balancer shaft belt another £50 not looked at idlers etc yet but the crank bolt alone is £20 with new key way and washer. crank i see is good on the keyway groove. Its the threads im not 100% on. Any good news on these trucks some one must have some LOVE! Dont walk away RUN away and keep the Terrano the L200 i owned cost a furtune my terrano cost only a battery in 5 years. Sadly the terrano i had 15 years and needed just service items got hit by a bus when parked in town , and was written off. I tried to get the salvage but inssurance were having none of it, so im on the look out but it seems these L200s are not a good idea. DO NOT GO EBAY FOR PARTS CHEAP NORMALLY MEANS COUNTERFIT OR BAD QUALITY ON THERE !!!! Thanks all. I have walked away Had a couple of hours reading this morning , i have read enough in vinces words life is too short. Well done you know it makes sense. Update! Another aquaintance of mine did buy this truck, £185 in belts bolts and idler and it all turned out fine for him with around 4 hours of is time putting it together one stuck caliper and a buld in headlight and its up and running, Seems to run nice he just took it up to Inverness wildfowling last week did over a thousand miles in it with no issues. So i suppose it goes to show you can be lucky sometimes. 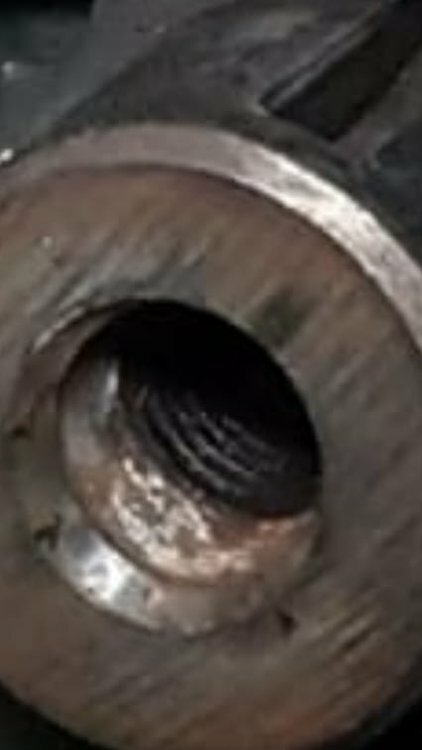 It was the condition of the crank threads that i was scared of, and also i was not comfortable the L200 was what i wanted in a 4x4 knock about. More i look around more i am tempted to just buy another teranno may be a SWB comercial van cheaper tax and big enough for my needs now the children have grown up. I would be tempted to find a 2.5 out of a Pajero and drop it in. Much older engine yes but bulletproof and for a cheap truck it wouldn’t matter.